Not done with Skiing / Snowboarding? 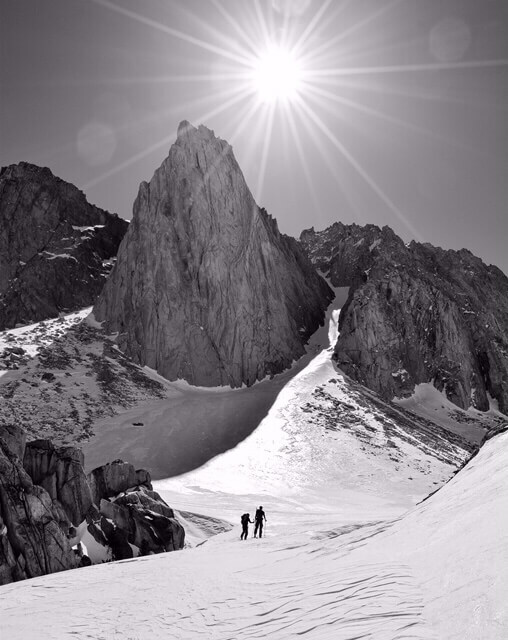 Eastern Sierra Backcountry is where it’s at! The Sierra Nevadas have gotten a TON of snow this season! With the sun shining and folks losing interest in winter, the resorts have begun to shut down. If you’re truly over ‘winter sports’, check out our latest post to prep your gear for storage so it’s in tip-top shape next season. 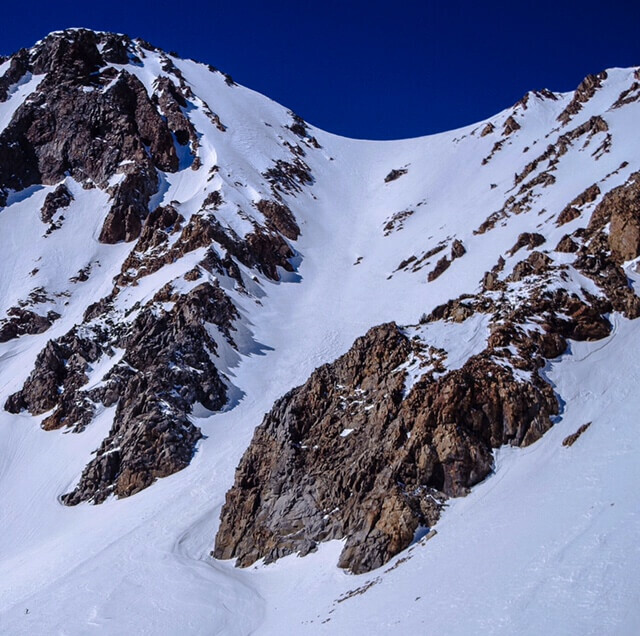 But, if you’re like the Local Freshies® crew and not finished shredding, consider a trip to the Eastern Sierras. It’s a special place without people, majestic views and lots more snow. What’s so special about these mountains? First, they are some of the highest peaks in the lower U.S., topping over 14,000 feet! California’s population may concentrate by the coast, but the eastern side of this mountain range sits on the sparsely populated Great Basin. This means you can easily get away from the crowds. Second reason is most of the spring touring around the area starts in May and June, as roads like Tioga and Sonora passes don’t open till summer (around May) depending on the snowpack. Third factor revolves around the weather. This region’s weather is conducive for amazing freeze/thaw cycles forming some of the best corn snow on the planet! Now that we’ve got your attention, where can you stay? If your feeling particularly ‘woodsy’, you can of course camp in the wilderness, but if that’s not your thing, Mammoth Lakes is a great choice. 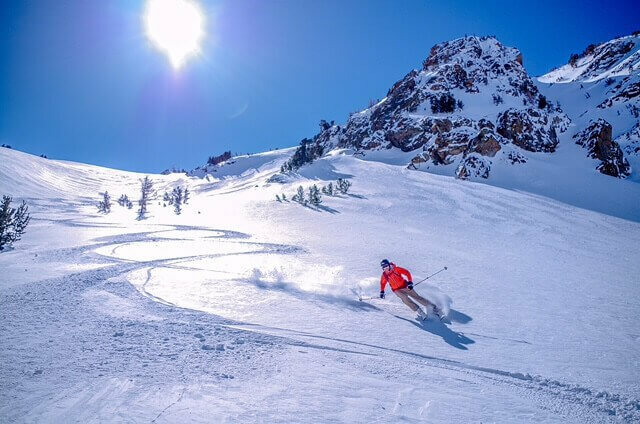 From here you have access to amazing backcountry but also are given the opportunity to get some lift-assisted spring skiing in at Mammoth Mountain. Their target date for closing this season is JULY 4th! Another option is to stay in Bishop or if you’re coming from the North through Lake Tahoe, Bridgeport is a great home base as well. Spring skiing isn’t just about sliding down a mountain. It’s also a chance to get in some other adventures. A great option to consider is to hit up some hot springs. For example, just outside of Bridgeport is one of the easiest to access – the Travertine Hot Springs. Another spot is just east of Mammoth Lakes called the Benton Hot Springs. Not feeling like a dip? Well, you can head to one of the many breweries in the area like June Lake Brewing, Mammoth Brewing, or Black Doubt Brewing. Need some more time in nature? Grab some crowlers to-go and head to wherever you desire. All this talk about the amazing terrain everyone can access has us drooling! We’re planning to head south later this spring and hit the Eastern Sierras so stay tuned for our adventure. Until then, if you do hit up this mountain range or any other, tag us on any of our social media feeds and we’ll be sure to share the best of them. Happy late season hunting!